Good evening everyone! I'm back to share another card. 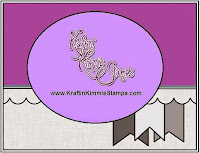 The image I used on this one is from Kraftin' Kimmie's Squishy Hugs stamp set. I colored the image with Spectrum Noir pens. I used Kraftin' Kimmie's May Sketch. I layered card stock, patterned paper, punching, die cuts, embossing, ribbon and gems to finish my card. The image is cut out using a rectangle embossing die. The clouds are created using a cloud embossing folder and then I cut out around a couple of the clouds. The punching is done with an edge border punch (cherish). 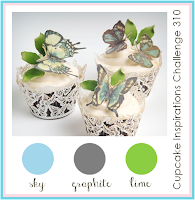 The colors I used are from the challenge at Cupcake Inspirations. such a sweet card and a great sketch! the clouds are cute and i love those sparkly gems in the two corners! thank you so much for playing along with us at penny black and more. Very cute card! Thank you for sharing with us at Cupcake Inspirations. Project beautiful , congratulations ! Truly cute couple, sweet and adorable card, beautiful colours. Fab card. Such a pretty layout. 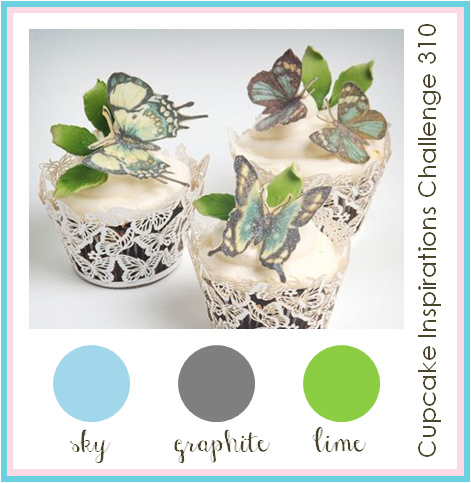 Thank you for joining us over at the Scribbla and Scrap Challenge. Good luck. Thank you soo much for taking part in our "ribbon & bling” challenge over at Come and Get it.